Can't view FTP sites with Internet Explorer? (Internet Explorer 4/5/6) - TACKtech Corp.
Can't view FTP sites with Internet Explorer? 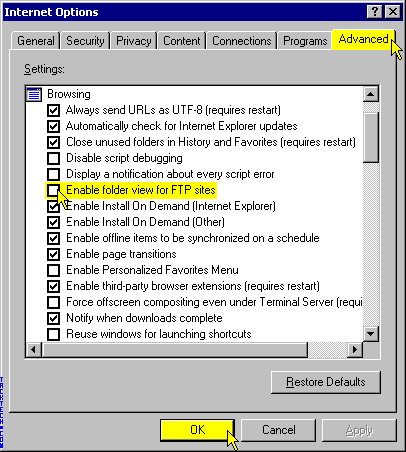 Uncheck the Enable folder view for FTP sites option. You should now be able to view FTP sites. Happy FTP'ing.